We are looking forward to another GREAT DOLPHIN season with all our returning tennis players and lots of new friends joining us! If you have any questions regarding tennis team, clinics, or adult tennis/programs, please send an email to tennis@cranbrookswimclub.com. *All players much be willing to play in matches. Tennis team offers no on court instruction during practice, so some prior knowledge of the game is necessary. If your child is looking for instruction, please take a look to the right at our clinics and lessons. Monday-Wednesday, 11:30-12:15. $30 per player per week. All payments and registration go to https://bhc.clubautomation.com. 12 max, 4 player minimum. Rainouts will be made up on Thursdays. Head Tennis Coach & Pro: Robert Carpenter's Bio- Robert has been a full-time teaching professional coach since 1980. He taught in Florida until the year 2000 and has spent 17 years as a Staff Professional at Beverly Hills Club. Tennis Team Coach: Yahsha Moore's Bio- Yahsha has been coaching at Beverly Hills Club for the past 3 years. She is a former collegiate athlete and graduate from Wayne State University. Yahsha assists with coaching the Wayne State Tennis Team. Assistant Coach Rohan DeSilvas's Bio- Rohan is a certified tennis professional. He has worked at Beverly Hills Club for 10 years. $15 per hour. 6 Max, 4 Minimum players, register and pay online @ https://bhc.clubautomation.com. 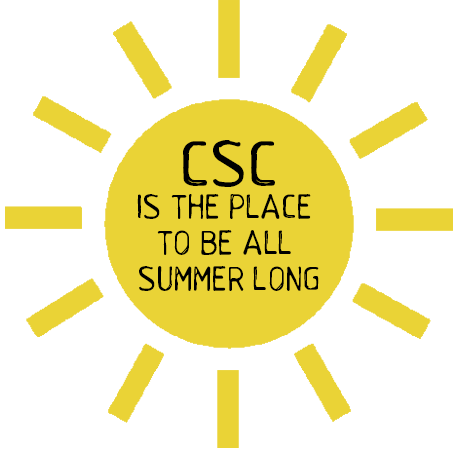 Non-Members welcome to attend when paying CSC guest fee. LADIES TENNIS THURSDAYS (LTT)- For ladies 2.5 and up, Thursday mornings at 9:30 Please register online @https://bhc.clubautomation.com or contact Stacey Slazinski if you have any questions at slazfamily@comcast.net or her cell 248-703-4432. JUNE/JULY Youth tennis clinics-Mon, Tues & Wednesday 12:15-1:15. Children will be grouped by ages and abilities during youth clinics. Contact any of the Tennis Team coaches directly to schedule. Parents attend to get important information regarding 2019 Tennis Team. Tennis season kickoff with a round robin parent child tournament. Prizes and light refreshments. $10 per team. Individual pictures will start ~9am -- Our all you can eat pancake breakfast will go from 9:30-11:00. Team pictures swim 9a, Tennis 10:30. Guests are $3 per person. Remember to wear your Sugar Skull t-shirts! A Finals singles location, coming soon. A Finals location, coming soon.